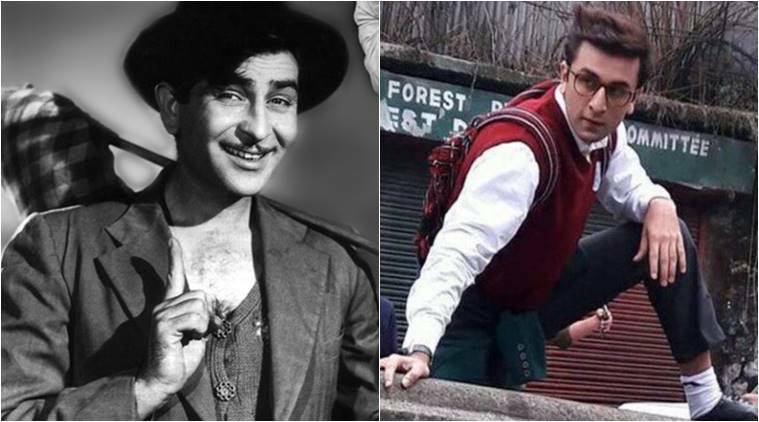 Actor Ranbir Kapoor, who has given some fantastic performances in films like “Rockstar”, “Barfi” and “Tamasha”, is ready for his next release “Jagga Jasoos” and says that he feels very proud and responsible at being Raj Kapoor’s grandson. “I feel very proud and responsible that I am his grandson. I feel he is looking at me from the sky and feeling happy and proud with the kind of work I am doing,” he added. Ranbir said at a song launch “Galti se mistake” from his upcoming film “Jagga Jasoos”, along with co-star Katrina Kaif and director Anurag Basu. Talking about the film and his character, Ranbir said: “My character is very interesting because for me, I never played a detective character and guy who stammers. I have done romantic films in my life but never done father and son story which is so emotional. “This was very sweet and I felt very good in my heart and I hope it all comes through the film,” he added. Ranbir Kapoor and Anurag Basu have earlier worked in the super successful “Barfi”. When asked about his hopes with “Jagga Jasoos”, Ranbir said: “Its bit superficial thing but when I entered this industry, I always dreamt of winning best actor award and giving good performances so that audience and critics appreciate my work. “Jagga Jasoos” is releasing on July 14.